The isolation of The Democratic People's Republic of Korea or North Korea as most of us know it, has reached new heights as the Chinses state-owned airline Air China has put a halt on all flights between Beijing and North Korea from Tuesday. The airline cites a lack of demand for the suspension of air services - including humanitarian supplies and comes as UN sanctions over its nuclear and missile programs start to take effect on the North Korean population. Many see Air China's actions as a direct response to the US President Donald Trump’s decision to add Pyongyang to a list of governments that support terrorism despite this being denied by the local authorities, a Chinese foreign ministry spokesman said he had no information. 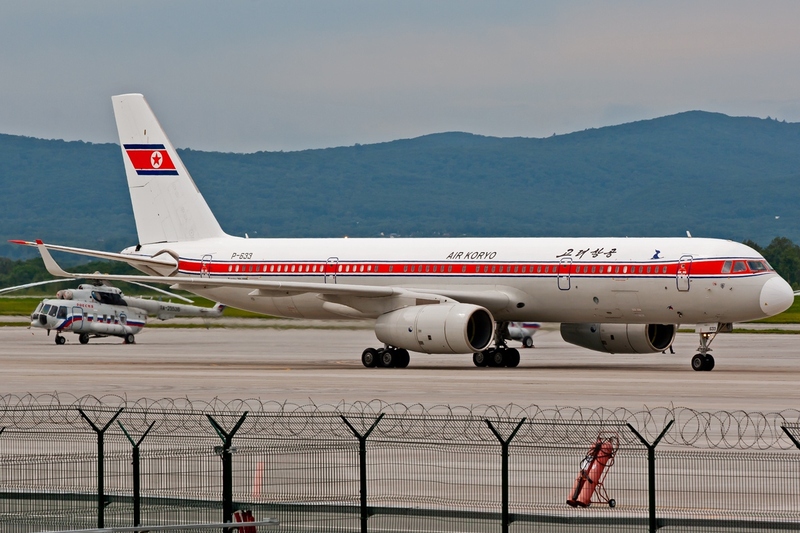 The suspension of Air China's operations leaves only Air Koryo - the national airline of North Korea, as the only airline with regularly scheduled service from the North to the outside world. Its regular destinations include Beijing, Shanghai, Shenyang and Dandong in China and Vladivostok in Russia. Beijing has supported UN curbs on North Korean exports designed to increase pressure on Kim Jong Un to drop his pursuit of nuclear and missile technology but has argued against measures that might harm the country’s public. However, cutting off flights from Beijing greatly impedes the import of humanitarian and medical supplies to North Korea. 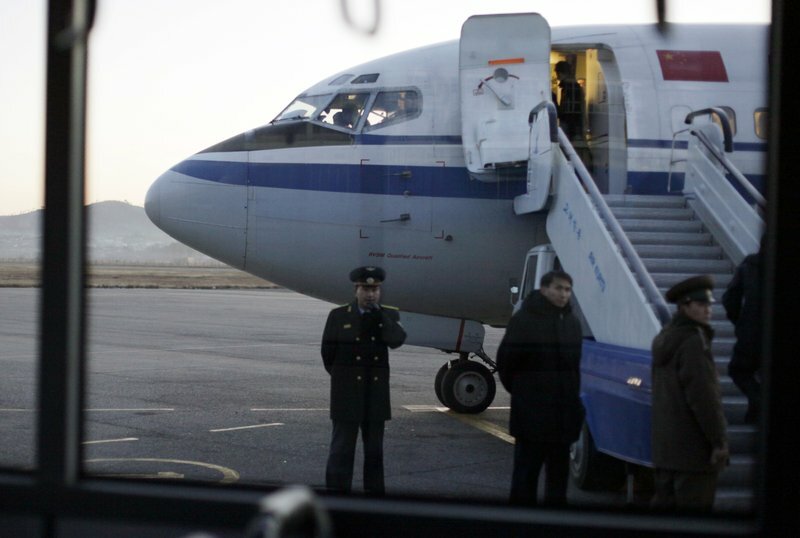 According to Air China's press office, flights were “temporarily suspended due to unsatisfactory business operations,” Air China announced back in April it was cutting the frequency of flights to North Korea due to lack of demand. There were some other Chinese airlines that had operated charter flights to Pyongyang, however, these have now also ended. The Chinese foreign ministry appealed for an ease to the mounting tensions.“Given the highly complex and sensitive situation on the peninsula, we hope all relevant parties can do something conducive to alleviating the tension and pulling all sides concerned back to the track of negotiation and dialogue to settle the peninsular nuclear issue,” a spokesperson said. While in Havana, Cuba's foreign minister and his North Korean counterpart have rejected the US “unilateral and arbitrary” demands and expressed concern over the escalating tensions. Cuba said in the statement the Cuban and North Korean foreign ministers had “expressed concern about the escalation of tensions” on the Korean peninsula. The ministers, meeting in Havana, called for “respect for people's sovereignty” and “the peaceful settlement of disputes,” according to a statement released by the Cuban foreign ministry. “They strongly rejected the unilateral and arbitrary lists and designations established by the US government which serve as a basis for the implementation of coercive measures which are contrary to international law,” the statement said.